Pearl Jewelry has never been at the level that is now. 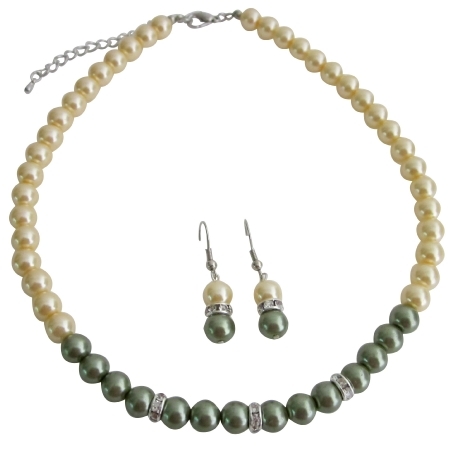 Wedding party favors Yellow & Pistachu Green pearls with sparkling silver rondells spacer necklace & nickel free hook. The spacer sparkle like diamond more beautiful choices than ever before from all parts of the world. Gorgeous & rich complimentary Yellow & Pistachu Green combo color that work magic as they delight the senses!. Customize Pearl Jewelry for BridesmaidBridal Flower Girl Maid of Honor Matron Of Honor Prom Wedding Gift Pearl Jewelry.